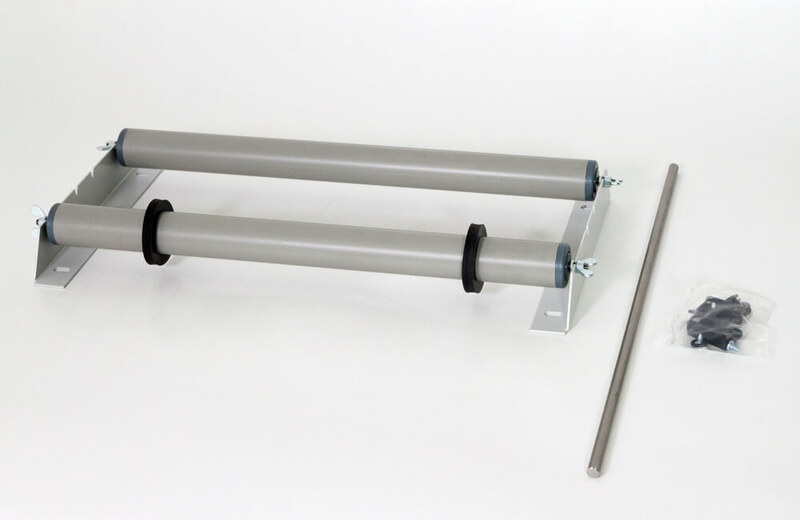 A set of film holding rollers that provide smooth delivery of tubular film. The set includes the Polylock device that prevents film from retracting. For use with Audion Magneta Motor MGMi and MGMDS models only. 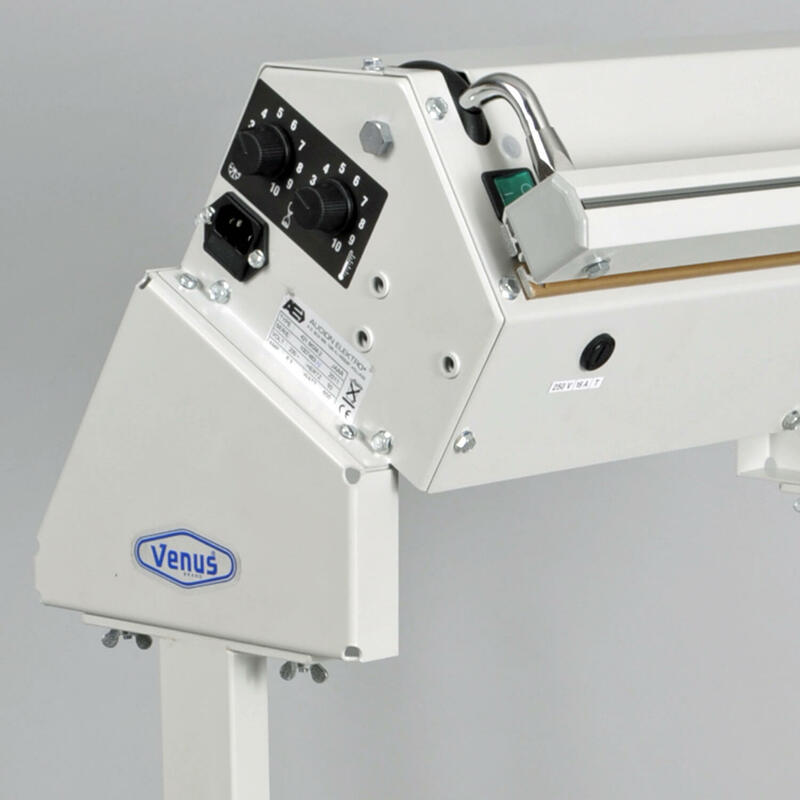 Allows the machine to operate at steeper angles for sealing heavy items supported by the Bag Support Plate. The shape of the device provides two different angles according to which way it is mounted. 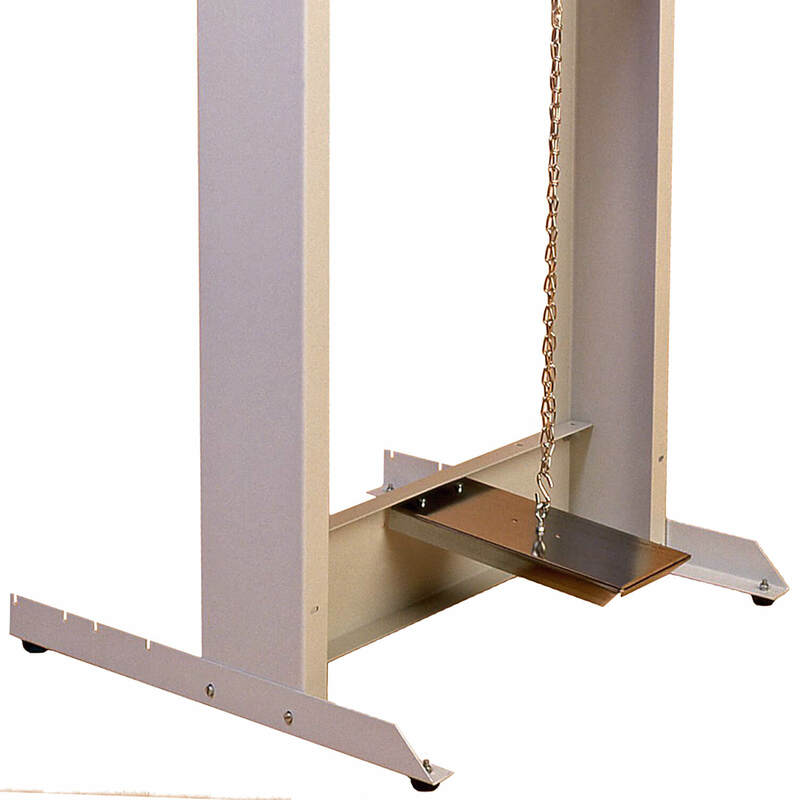 A sturdy height adjustable support that clamps to the Stand (above) to hold large or heavy items up to 25kg. For the Audion Magneta standard models only*. 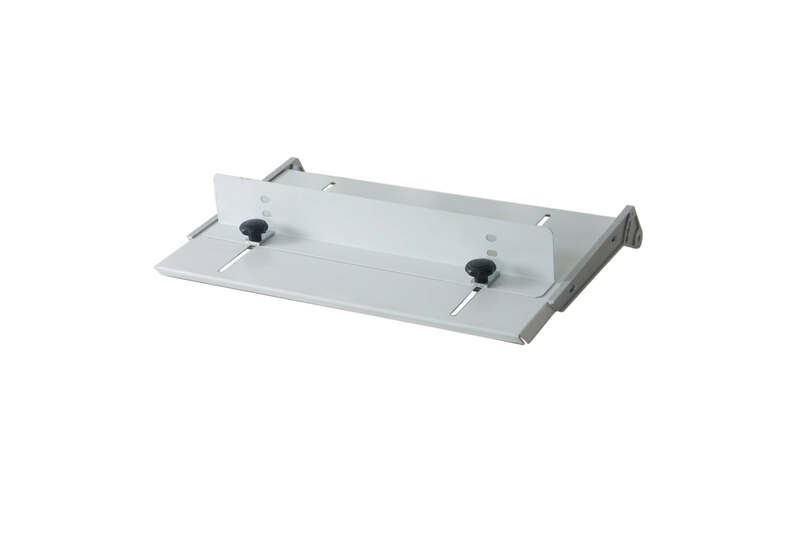 Attaches to the Stand (above) or bolts to the floor for hands-free operation when Audion Magneta is installed on a benchtop. Available separately or included with the Stand (above). * Note: Venus Audion Magneta Motor models come complete with an Electric Foot Switch. 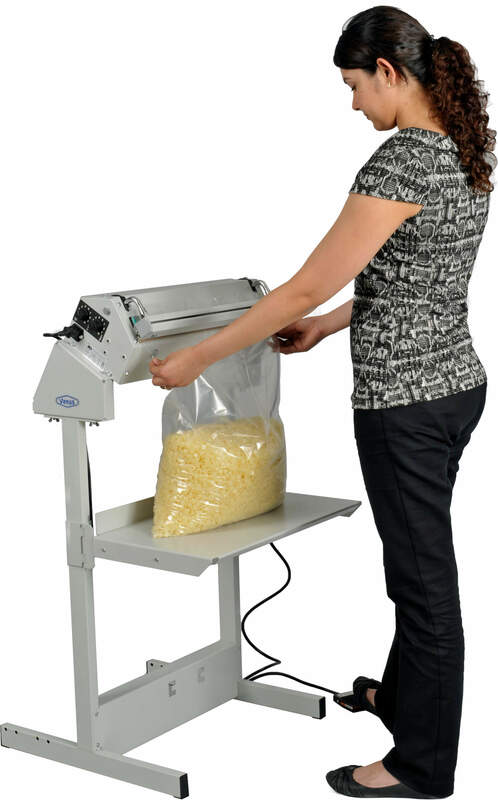 The worktable is equipped with adjustable bag holder to easily handle different bags sizes. This work surface adjusts to 6 different angles to suit a variety of applications. A sturdy platform with a large ‘footprint’ for excellent stability. Includes a foot pedal and chain for use with standard Audion Magneta models*. *Venus Audion Magneta Motor models come complete with an Electric Foot Switch. 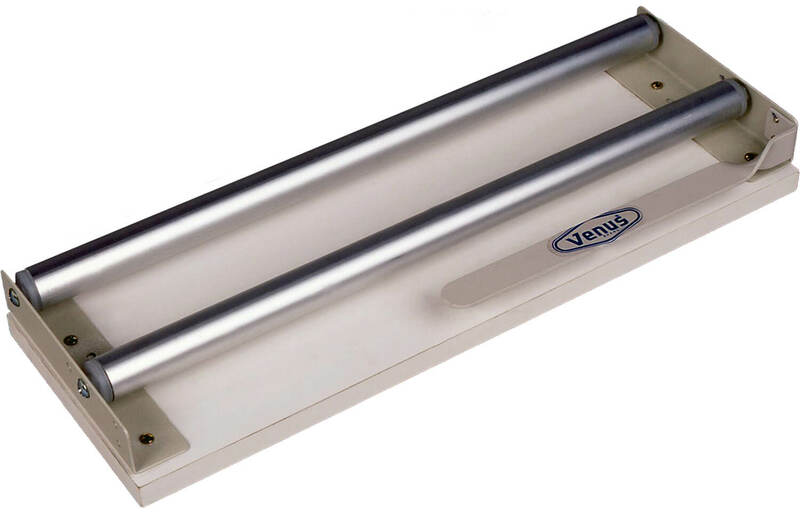 A locking device that holds tubular film in place to prevent it from retracting. Available separately or included with the Set of Rollers (as listed here).